You have our permission to put away the pen, pencil, and lined pieces of scratch paper you have been using to calculate what your share will be when your very first real estate deal closes. 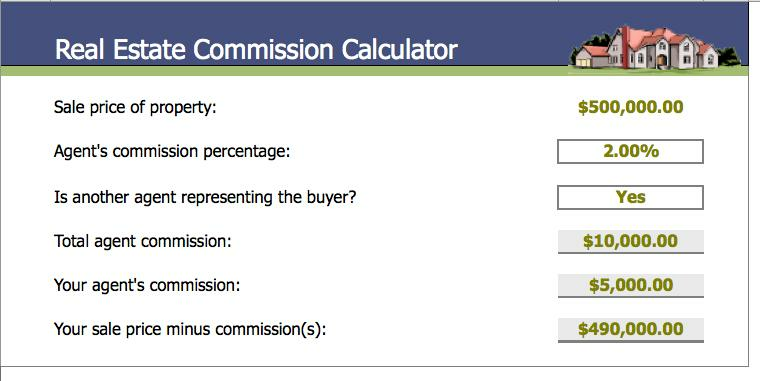 It’s a new year and way past time you joined the crowd of realtor veterans and started using a real estate commission calculator. The process is neither complicated nor confusing and does not require a college education. And with your new commission calculator you’ll be able to eschew mistakes and get the amount correct the very first time. 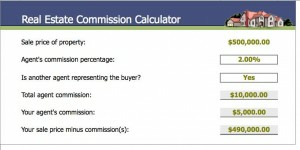 A real estate commission calculator is an excel file that helps you calculate future commissions should you choose to hire a real estate agent to list and sell your home. It also helps you compare between selling with an agent and selling your home yourself as a for sale by owner. You can count on your Excel editor making life easier one Excel template at a time.